The 2017 Oscars are here and so are Movie Fuel’s favorites! He truly missed his calling as a movie reviewer, so if you know anyone who works for Entertainment Weekly, put in a good word. Take the time to read his La La Land review, his insights and comparisons always astound me…seriously guys, he’s good! And as and added bonus, I have an Orange Julius inspired La La Land Smoothie you can quickly whip up before the opening number and dress mocking begin! At a time when I could better understand and appreciate the art form, my mother introduced me to many of the 1950’s classic films, especially musicals. I became very familiar with actors like Danny Kaye and films like The Music Man, Singing in the Rain and Oliver!. The biggest difference with musicals is that they are often a purer form of entertainment compared to the standard drama or comedy. Musicals require a certain height of disbelief and force the audience to leave their “normal” world behind and enter a place where people dance in the streets, rooms in an apartment suddenly transition around actors and everyone in the movie knows each other as they breakout in a happy flash mob. The movie musical, similar to its rooted form on Broadway stages (and the Opera before that), has the greatest ability to transport an audience to the purest type of escapism and provides two more layers of expression other than standard acting; singing and dancing. Director Damien Chazelle, whose directorial debut was the 2014 drama Whiplash, does an incredible job of creating something sentimental and classic but also very fresh. Within its opening musical number and pervasively throughout the film, we understand that La La Land is as much about what the city in which it is set represents as it is about our two main characters. Los Angeles, and more specifically Hollywood, has historically been a place that can create or crush the dreams of so many budding hopeful entertainers; for every Leonardo Dicaprio and Jennifer Lawrence that breaks through, there are hundreds of thousands that do not. This is the story of two of those dreamers, one a traditionalist jazz pianist (Ryan Gosling), the other a saucer-eyed aspiring actress (Emma Stone) who serves as a barista on a studio lot just to be close to movies. Both have their sights on something spectacular and their aligned passion and pursuit creates a charming and endearing chemistry that draws them together. In its simplest explanation, La La Land is a musical love story about following your dreams. In between the lines, you’ll find a compelling film examining the cause and effect of the decisions we make while chasing those big dreams and how the power of disappointment drives us. What starts out as corny and unbelievable, quickly and confidently convinces the audience that what they are watching is not only different than anything they have seen recently, which adds appeal on its own, but also that a 1950’s retro style musical can still be cool in the 21st century landscape. Being different than the rest can be pleasing, doing so while maintaining a connection with the audience is even more special and is often the formula for some of the most successful and praised films of all time. Accomplishing this has become increasingly more challenging as more years pass and more films are produced. The films greatest strength may be the performance by Emma Stone, who equally expresses vulnerability and confidence in both subtle and bigger than life moments throughout the story. Yes, the stars aren’t classically trained singers or dancers, but in a way their imperfections help keep them relatable. The film also provides emotional punch that eats at our sensibility that life’s choices can unpredictably provide and take away what we love the most. I am not going to beat around the bush any longer, this is a beautifully written, acted and choreographed film (even the music is pervasive well beyond the viewing experience) and on Oscar night, it will easily win Best Picture. Only ten of 32 nominated musicals have won in Oscar history, including most recently Chicago 15 years ago, so another musical best picture is due for a win (the last one nominated was Les Miserable in 2012). If you are looking for escapism, inspiration or romance, go see La La Land, you won’t regret it. Hidden Figures – Inspirational True Story of the unsung heroes of the NASA program. Zootopia – Entertainment for every age in the spirit of Who Framed Roger Rabbit. The Accountant – Kept your interest to the very end, exciting action flick. Moonlight – Intense and tender coming of age story in the worst parts of Miami Beach. Pardon my web-dust as I learn to add new fonts, gadgets and the rest of it to Food It Forward. Jy is really excited to share his picks for tonight’s awards and I’m excited to recycle last year’s Opera Cake with you! It was one of the hardest things I have ever made and I took such a mediocre photograph. You live, you learn and you eat, right? This was a banner year for movies! I know this because there were so many that I didn’t see that I really wanted to see. Lincoln and Silver Linings Playbook are two still at the top of my list. Combining what I have seen and typical Oscar trends, here are THE WINNERS for this years Academy Awards, guaranteed to help you take your Oscar pool! I’m in the middle of linking all my old posts with my new. (Sounds like a real party, eh?) I’m just posting this old recipe (with an old note underneath) to make sure it will still be found! This dip could NOT be easier to make! Blend all ingredients together in food processor to crush up pineapple and coconut pieces. Refrigerate at least 30 minutes before serving. I think it tastes great with Trader Joe’s Pita Crackers, but I am sure there are plenty of dipping options you can find! Quick and easy recipe for today, be sure to save this recipe for summer (which seems so far away right now)! Jy and I are hoping to get out to see the Oscar nominated short films this Saturday. Cross your fingers we can get out to go, it is always such a fun tradition that has gotten harder to keep up with after having kids. Are you watching the awards this Sunday night? Are you going to be happy when I quit talking about the Oscars and movie themed food? Hope not! See you tomorrow, Happy Tuesday friends! Well, here it is! The final Best Picture nominee of the Oscar themed food posts, Zero Dark Thirty. I have been putting it out there what a hard time I’ve had coming up with fun food for this movie. I’ve loved all the ideas many of you have emailed me! Zero Dark Thirsty, Zero Dark Thirtini, Gyro Dark Thirty, Zero Dark Chocolate Cake and what I think is my favorite, Hot on the Trail Mix! I promised a $10 coffee gift card to any reader who sent in an idea which would inspire a post on Food It Forward. So, Cara, I am sending a Starbucks card your way! Thank you all for such great ideas! The hot on the trail mix helped me think outside the box of the movie title. Ready for it? I’m kind of hoping I have some readers who read the title with the word desert, instead of dessert. Anyhow, here’s how it goes. Step One: Gather your ingredients. I have chosen a dark chocolate brownie mix, dark chocolate ice cream and a dark salted flavor caramel sauce and chocolate covered cherries. Remember, think dark. You know I am usually not a fan of boxed stuff, but Ghiradelli brownies are always an exception in my world. Step Two: Hide Osama at the bottom of your dessert dish. Please don’t think I mean anything by Osama being a chocolate covered cherry. The cherry inside is more about blood than a sweet heart. Do you feel sad for OBL, all alone in that dark dish? Me neither. I didn’t do this the first go around, but I’d suggest melting your chocolate covered cherry for 10-15 seconds in the microwave. He’ll be easier to kill that way. I over did it at about 25 seconds. Step Three: Hide Bin Laden in a cave of ice cream. Cover that ice cream with rocky mounds of brownie. Drizzle your dark topping of choice. It’s hunting time! You and your crew can each go searching for the Target. No torture involved. Now, you and your guests go in for the kill! Like I said before, Osama will be easier to kill and a bit bloodier if you melt him in the hot Middle Eastern microwave first. This is all in the name of the Oscars and the movie, Zero Dark Thirty. I have not seen the movie. I don’t condone killing anyone. Hey, Al Qaeda, I’m sure Osama was nice to some of you. In other words, although I am 35, I’m still to young to die. Please don’t come find me and kill me. This fear has probably come from the old neighbors I just ran into at Target. They told me a story of how Homeland Security now uses their old phone number to catch a Terrorist, who….GET THIS….still lives about 50 yards from me. Huh?! They had to flee the country, but came back for the daughter’s medical needs. These ladies either have a serious exaggeration problem, or I need to buy an attack dog. Not sure which one. They would always bring Dallas cute gifts and love on him when he was a baby. So, I kind of believe them out of guilt. How’s that for movie-style drama? Someday, someday I say, I will learn how to type an accent with my keyboard and it won’t look like this: Les Mise’rables. That’s an apostrophe not an accent. Am I right? Am I blind? Am I hungry? Nope, I just ate a bowl of Les wonderful soup. This is the second to last Best Picture nominee post and it has been a tough one! There were too many options for this movie and I couldn’t narrow it down to something easy and yummy without some contemplation. On the way home from our weekend getaway, Jy (Mr. Movie Fuel) gave me plenty of fun ideas. My favorite? Les Fisherables. Really? Les Fisherables? 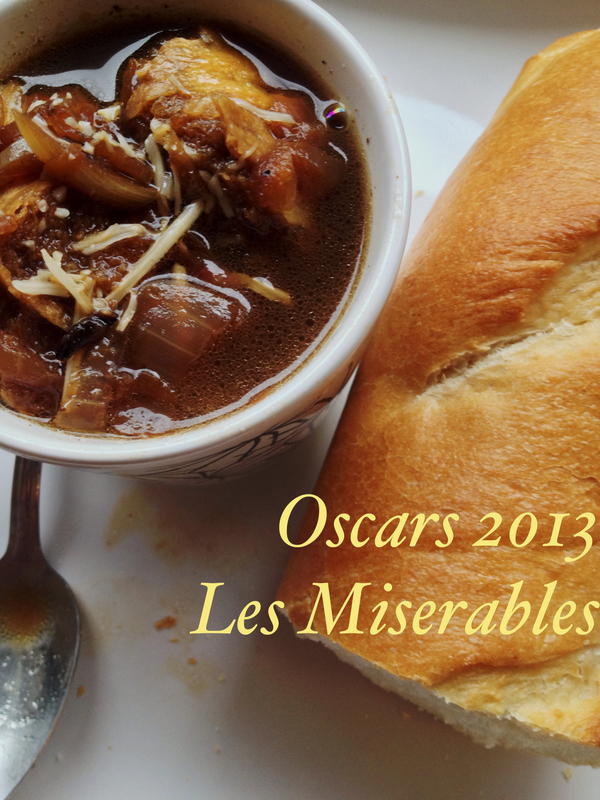 After discussing the possibility of injecting a baguette with wine and brie, Jy stumbled onto the fact that French Onion Soup was too, a meal of the poor. Bingo! I’m poor, so it sounded like a match made in heaven. As we all know, plenty of chefs have had their hands on French Onion Soup and have classed up the beefy pot quite a bit. I’m doubting the French who rose up against the aristocracy were preparing their soups with organic croutons, Gruyère and sherry. I’m thinking more along the lines of rotten onions and hopefully some bone broth! Luckily, I found a recipe that is light on the wallet, good for the body and easy on the cook. I’ve added a slice of french bread into my soup, which is not done in the, as it is meant to be a “clean recipe”. The Gracious Pantry is an awesome site to read about clean eating and find almost any recipe to replace your old, dirty, fat food. Did I just make you drool there? Mmm, old, dirty fat food! In a soup pot, sauté your onions in the olive oil until they are soft. Add beef broth and vinegar to the pot and boil until the liquid has cooked down by approximately half. Serve sprinkled with approximately 2 tbsp. parmesan cheese sprinkled over the top. Again, bread makes the world better, so I’ve added a slice to my soup. Yeah, I’ll suffer the gluten consequences, but who am I to talk of suffering? I never had to diet the way Anne Hathaway did for her role in Les Mis. That, my friends, is suffering. Although her millions of dollars may have soothed her hunger pains. Wait, does cash have carbs? While Silver Linings Playbook is still on my must-see list, I’ve done a bit of research. From what it sounds like, the majority of websites suggest I make crabby snacks or homemades. Crabby snacks are a lot like the tuna melts my family loved to make, back in the day. Instead of canned tuna on a buttered english muffin, crabby snacks class it up with some canned crab. That doesn’t sound super amazing to me, but who am I to judge? Homemades are either homemade noodles or pizza with hamburger or chicken on top, depending on what you read. No and no. Not feeling like whipping up either. 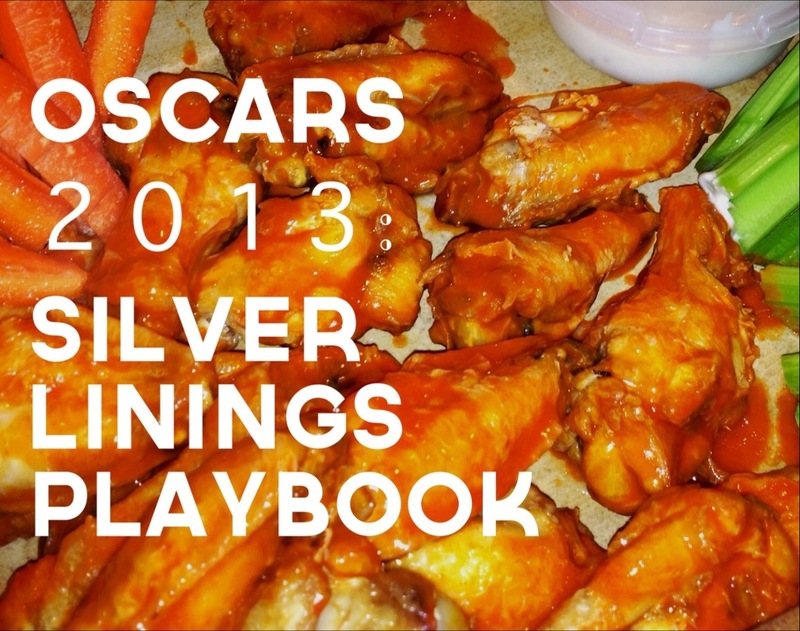 My favorite suggestion is the idea of using football watching snacks as an Oscar night dish. Bradley Cooper’s character is a Philidelphia Eagles superfan and serving buffalo wings is perfectly acceptable in my playbook. I made these buffalo wings for the Superbowl and its sad, sad, outcome. The recipe is from The Pioneer Woman and is totally easy to prepare, especially if you have a deep fryer. All this recipe requires is some frying and dipping. I’m still working my way towards Zero Dark Thirty and I have loved all your suggestions so far. I found a fun idea on a site I can’t seem to find again! Let me know if you are familiar with Puzzler or a site that sounds something like it. Listen to this idea, Gyro Dark Thirty! How funny is that? I have no idea how to make Gyros, so I think I’ll stick with some of your ideas. You’ll be seeing FoFo posts start rolling in a little faster than they have been, so keep checking back. The Oscars are coming soon and there is nothing like celebrating millionaires with swag bags and gold statues. Beasts of the Southern Wild is waiting in my mailbox for me to come home from a holiday weekend escape. I’m enjoying the peace that comes with high, snowy altitude, a warm pine burning fireplace and working wi-fi! Last visit to Lake Almanor, Sprint offered me such spotty service I thought I would drop dead within a week. My kids are experiencing the snow for the first time and I’m drinking in lattes, wine and mountain air. 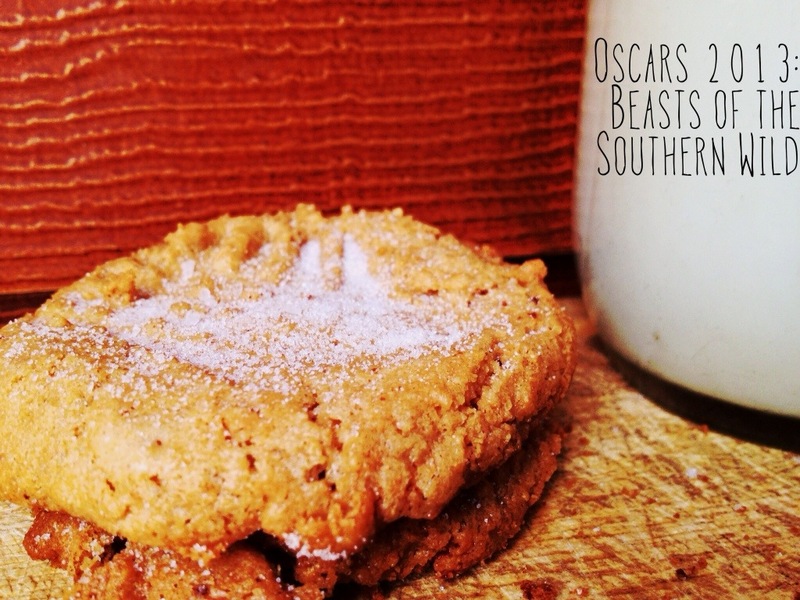 I’ve received a few emails asking where the newest Oscar recipes are. I feel so appreciated that there are actually readers who care, so THANK YOU! There are plenty of Oscar night food options to accompany the best picture nominees. This movie lends itself well to food choices, the main character shares the name of a common fried fied of the south, Hushpuppy. I just couldn’t bring myself to fry up some hushpuppies for the sake of the blog. If you are a hushpuppy lover and feel like frying up some corn meal and flour, you go on and rock those hushpuppies, friend. There are fun southern drink options, like sweet tea or whiskey based cocktails, but I’d be making them just to photograph and then toss. Now, you may find this choice of recipes to be a stretch. I can promise you though, that if you search for this recipe with the word “southern” at the start, Google will offer you plenty of results. Plus, this recipe originated in my kitchen via Paula Deen’s kitchen. It doesn’t get more southern than the gal I love to hate, Paula. I have made (flourless) Peanut Butter Sweet and Salty Cookies, ya’ll! The original recipe is simple and doesn’t include salt. This movie, from what I hear is sweet and bitter, hence, so are the cookies! This is one of those recipes that you will use forever. It’s easy, it is gluten-free and it is super tasty! Mix the first three ingredients and spoon onto baking sheets. Criss cross fork marks onto the tops of the cookies and bake at 350 degrees for 10 minutes. Immediately sprinkle the cookies with the extra sugar, then go over with a very light sprinkling of salt. Let cool and don’t eat more than 80. 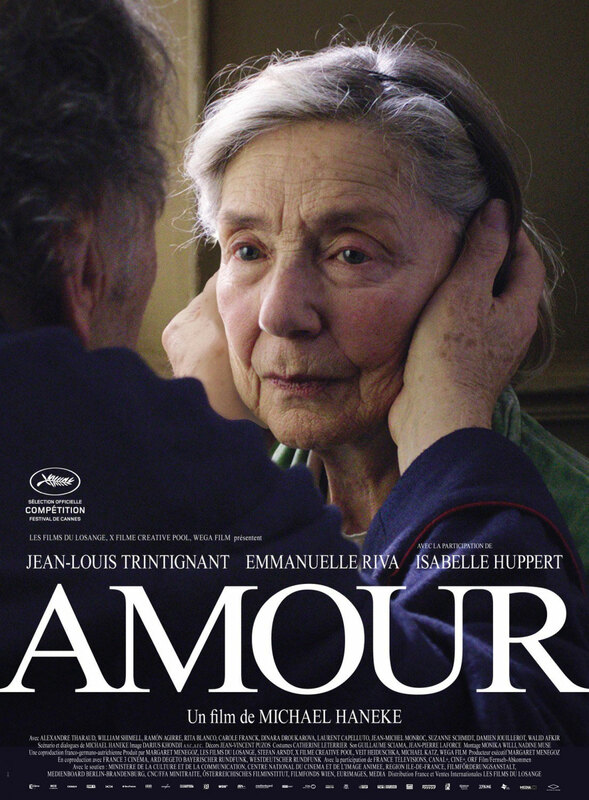 Have you seen Amour? Most of us haven’t, right? It looks like a beautiful, sad, sad, movie. I just read the plot, complete with spoilers (I won’t add any here) and yep, beautiful and sad are right! This isn’t on my must see list, as is Beast of The Southern Wild and Silver Linings Playbook. However, if you are a sucker for a movie that jumps, no…pounds on your heart-strings, get your booty out there and see this movie. I am more than happy to drink about this movie though! Take a look at the Catatonic, a drink especially made for this year’s Oscars. The tribute to Amour is in the name, but honey, you best believe Mama when I say this mug of love will work with ANY movie you wanna see! If you are a lazy dater (like my husband and me), you can set up a night at home with a Catatonic, a Netflix disc, some pajamas and mismatching socks. Perfect. You are going to need some Adult Chocolate Milk, which was waiting for me on the top shelf in the spirit aisle at my grocery store. Can we get a new name for spirits, yet? That word just means way too many things. I had a lot of spirit in high school. My friend Jody knows well of my jealousy over her “Most Spirited” yearbook win. She loves to remind me that it was SHE who owned the orange Guess! jeans, not me. That was back between 1991-1995, the years of grunge and clunky shoes. Skinny, bold colored pants were not as hot then as they are now. Spirit is also used to describe ghosts, it’s a name for Jesus’ energy left on earth, it’s the way uneducated folks spell Sprite. Can’t we just agree to call it liqueur? Better yet, let’s call it booze. I don’t have to use spell check when I call it booze. 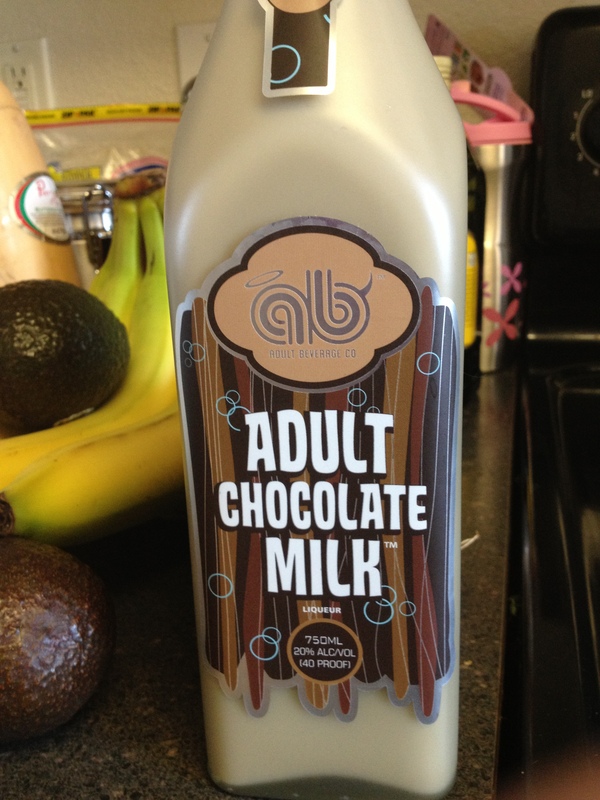 Go get some Adult Chocolate Milk where you find the rest of your booze. There are ENDLESS options for this bottle of creamy chocolate infused with vodka! Think of the adult chocolate shakes, the frappuccinos, the puddings, the popsicles, the mochas. ACK! I’m jealous! I’ll be saving one of my weekly DAMY treat times for an Adult Chocolate Milk drink, fo’ shiz. I left the Creme De Menthe that is called for out of this drink. Mostly because Safeway didn’t have any, but also because I don’t love it and new I could make some mint-infused simple syrup instead. Six minutes were stolen from my day to make homemade whipped cream, which is so easy. Grab a little carton of whipping cream, dump as much sugar as you’d like and turn your mixer on high for a few minutes. Homemade whipped cream tastes a million times better than the canned stuff and doesn’t have corn syrup or other crazy ingredients. I took a few sips from my mug and Jy guzzled his whole 8 oz. down. This drink is creamy, dreamylicious. 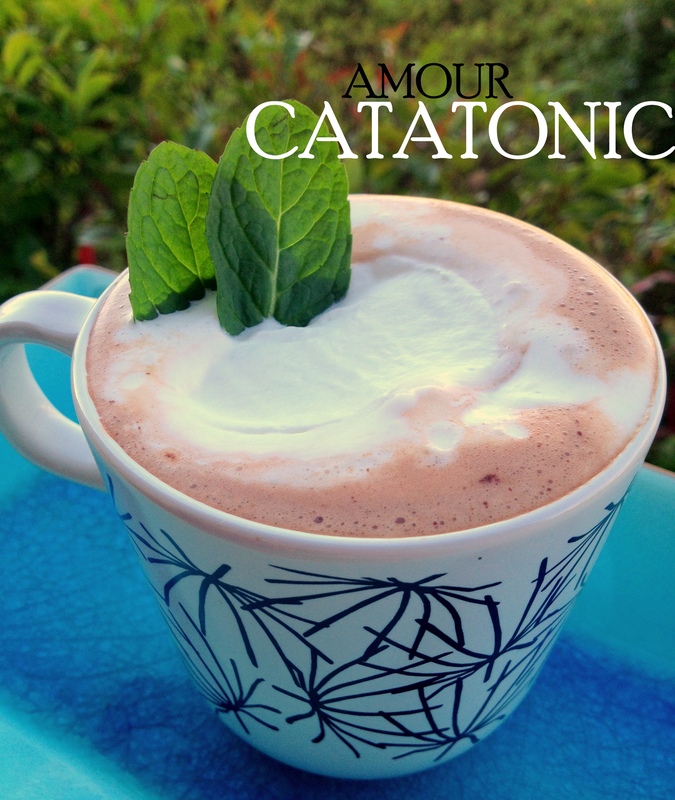 The Starbucks hot chocolate packets we used really pushed our Catatonics over the top. Pour the Adult Chocolate Milk™ and creme de menthe into a large coffee mug and stir. Add hot chocolate, topped with whipped cream. Sprinkle with chocolate shavings and top with a cherry if desired! A big thank you to Deutsch Family Wine & Spirits for this recipe, it’s a keeper! *Do you guys think they will change their name to Deutsch Family Wine & Booze? Yeah, probably not. Let’s keep it classy, kids. I have yet to make it out to see this movie, but I am super excited to see Daniel Day Lewis. 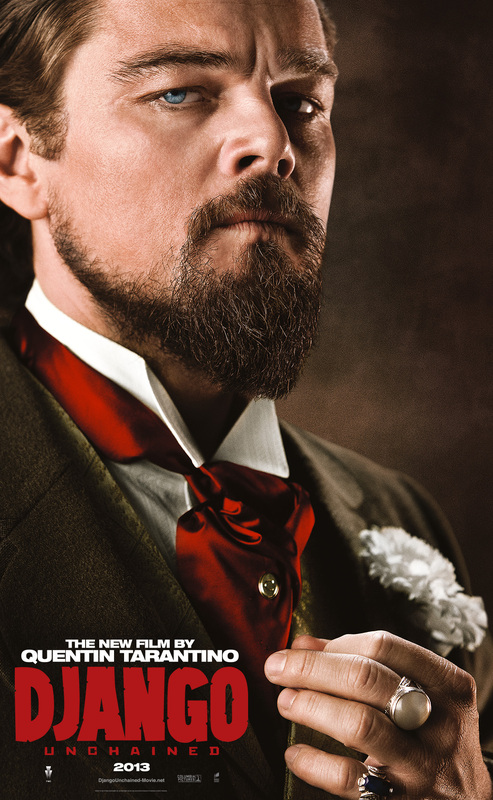 Just look how MUCH he looks like Abraham Lincoln in this movie poster! Actually, I don’t want to start getting sued for using celebrity photos on my blog. I best read myself up these here laws of the land before I keep pasting in photos of DiCaprio. You never know when you might run across a meany, right? Not everyone can be as sweet and cooperative as Lance Armstrong. Hubby has to use the computer, I’ve got a lot to say. Gotta type fast. I told him to ask someone where they keep the Greek Gods. Of course, I can’t write about some of the other auto corrects. That’s what http://www.damnyouautocorrect.com is for, right? On to the pie! 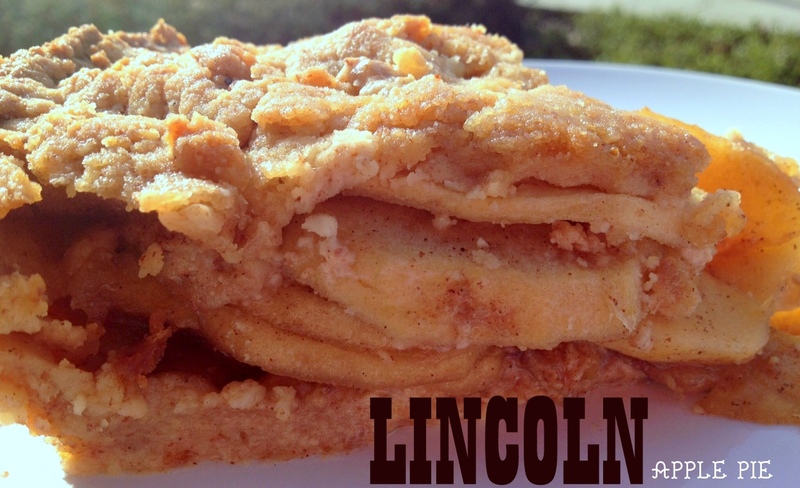 It’s no secret that Abraham Lincoln loved apple pie. It’s not really common knowledge, either. But the info is out there and I’m happy it is, I needed an easy Oscar food connection. Zero Dark Thirty is ka-hilling me! 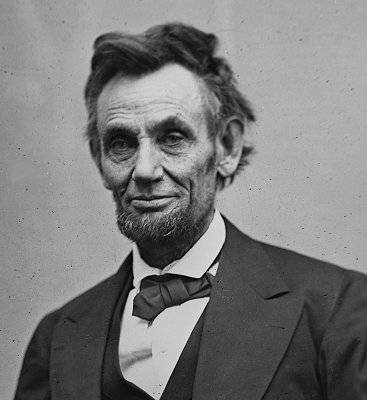 I figured that Lincoln, the progressive that he was, would totally be down with making an inclusive apple pie for all to eat. Hence, vegan, gluten-free apple pie! In a food processor, add the almond meal, rice flour, tapioca flour, arrowroot flour, sugar, salt, and xanthan gum. Process for a few seconds to incorporate these ingredients. Add coconut oil, and pulse through briefly to begin to break up and incorporate. Then, add milk, a few tablespoons at first (for double crust; one tbsp at a time for single), pulsing through, and then one tablespoon at a time after that, pulsing through until the dough has just come together and has started to form a ball (doesn’t have to be one unified ball, just until some of the dough has started to come together). Remove dough from processor and shape into a ball. For the double-crust, divide the dough in two (you can weigh each half if you like for precision, but it’s not necessary). If the dough has become warm, shape into a flattened disc, wrap in plastic wrap, and refrigerate for about 20-30 minutes. (You can also refrigerate this dough for a few days before using, and remove from fridge for an hour or two before rolling, long enough for the coconut oil to soften again in the dough). When ready to use, place flattened disc between two sheets of parchment (for easiest rolling). Roll the dough out to about 2- 2½” larger than your pie plate (see note). Place bottom crust in greased (see note) pie plate. Place crust in freezer for 15-20 minutes while preparing filling (ex: Apple Pie, p.<>), or prebake crust (see note) if you will be using a no-bake filling in the pie. For a double-crust, roll out the second-half of dough, place over top of filling, and crimp edges (don’t trim edges, the baked crust is too tasty, and even if thicker in spots, is still fabulous, so keep things rustic). Follow directions for specific pie filling, and if using double crust, it’s a nice idea to brush the top with a little non-dairy milk and sprinkle a little sugar over top. In bowl large enough to hold the sliced apples, combine the lemon juice with the maple syrup and tapioca starch flour, stirring well to incorporate fully. Stir in the sugar, cinnamon, nutmeg, allspice, and salt. Add the apple slices to the mix- ture, and toss to coat. Transfer the filling to the bottom piecrust (you can prebake this crust for 10 to 15 minutes, if you like, but this is not necessary). Moisten the edge of the crust with water (you can skip this step if using the Gluten-Free Piecrust, as it easily holds to bottom crust), and place the top crust over the filling. Cut a few slits in the top crust to allow steam to exit while baking (alternatively, you can use cutout pastry shapes to form the top crust, or a lattice-top crust). Brush the top crust with the milk and sprinkle a teaspoon or two of sugar over the top. Place the pie in the oven (with a baking sheet on the rack underneath to catch any drippings) and bake for 20 minutes. Then lower heat to 350°F and bake for another 30 to 35 minutes, until the top is lightly browned and the juices are thickened and bubbling, watching that the outer edges aren’t browning too fast (see “Making Vegan Piecrusts,” page 239). To check for doneness, pierce through the pie (where open or vented) with a skewer or sharp knife. If the apples are not tender when pierced, allow to cook for another 5 minutes. Remove from the oven, transfer to a cooling rack, and let cool for an hour or more before serving. This pie is delicious served with vanilla nondairy ice cream, or Lemon-Scented Whipped Cream. The next Oscar nominated movie of the series is Django Unchained, a Southern style Spaghetti Western from Quentin Tarantino. And it’s a tasty one! I am seriously hurting for ideas on how to incorporate Zero Dark Thirty into SOME kind of food. If you have any crafty thoughts you’d like to share, please do! If I use your idea, I will send you a $10 Starbucks card. Free coffee for your brainpower, it’s easy. If you haven’t seen the movie, Leonardo DiCaprio plays a sadistic plantation owner, who offers Django and his travelling partner some white cake at a crucial moment in the film. This next statement shouldn’t surprise you. Quentin Tarantino often incorporates guns and blood into his films. Alas, Django Unchained is too, a bloody flick. The strawberry sauce (do I have to tell you it’s supposed to be blood? ), which drips over and puddles under the Django White Cake, is simply sugared up strawberries with a bit of cocoa powder for depth. You can easily change the flavor with any berry you choose and same goes for the cake. To keep your cake white-ish, be sure to use clear extract. This recipe calls for whole eggs, leaving you with an almost white cake. The almond flavor lends itself well, but vanilla would work perfectly too. It’s hard to tell from the photo, but there is a white layer of cream cheese frosting between the layers and on the top of the cake, it helps mask the tint of the cake, holds it together and gives it an extra layer of flavor. How does it taste? It tastes “You better hide this cake from me, because I WILL find it in the middle of the night and eat 3 pieces” good. It tastes, “I am going to hide in the bathroom with the shower running and eat another piece” good. Preheat oven to 350 degrees, prepare chosen cake or cupcake pans with spray or butter and a sprinkling of flour. In medium bowl, cream sugar and butter. Beat in eggs, one at a time. Stir in almond extract. In separate bowl, mix flour and baking powder. Gently mix dry ingredients in with the wet. Stir in milk until batter is smooth and pour into pans. Bake 30 minutes or 25 for cupcakes. Let cake cook before frosting. In a medium saucepot, bring berries, water and sugar to the point of boiling. Lower heat and stir sauce until it thickens a bit and sugar is melted. Mix in cocoa powder and set aside to cool. Blend together cream cheese and powdered sugar. Add milk slowly and only if mixture is too dry. That’s it! Now, gotta go pay the bills. I know you may not believe this, but I don’t actually get paid for being wife and mother of the year. No one has actually ever accused me of being wife or mother of the year, but I totally know lots of people are just thinking it, so it must be true.